I hope everyone had a beautiful Memorial Day Weekend! Jason and I didn’t have any real plans, but we ended up having such a great weekend just being on Cape Cod and soaking up the unofficial start of summer! 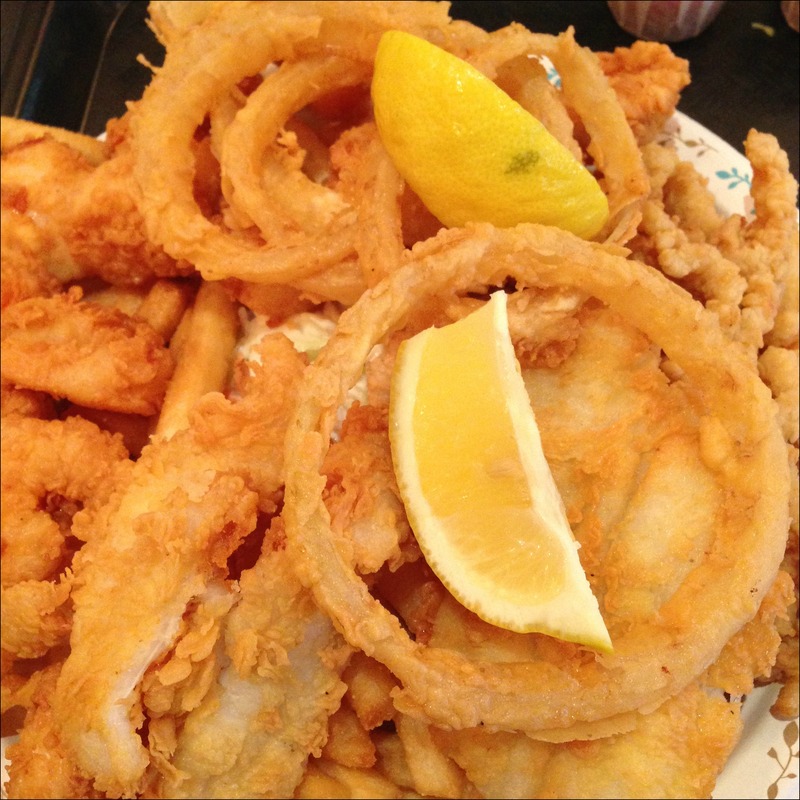 We started off treating ourselves to a HUGE plate of fried seafood and chowder to celebrate the end of our semester (and both doing well in our classes!) – this thing had fried sole, shrimp, scallops and clams and it was AMAZING! 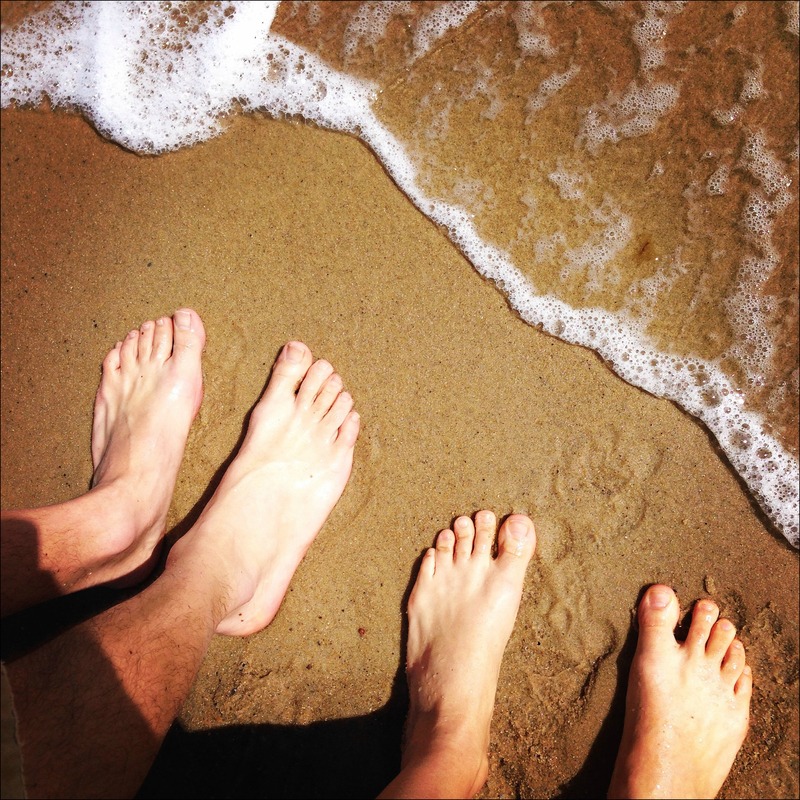 …we even dipped our toes in the water, but I think it’s safe to say that’s all that will be going in the water anytime soon! 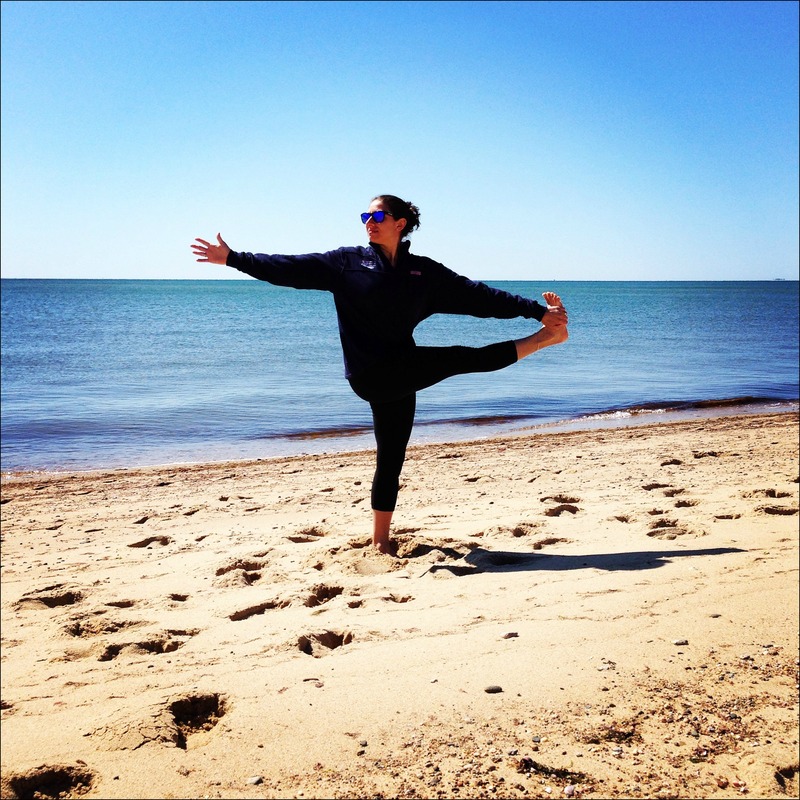 On Saturday yoga on the beach made it’s return! I’s been one of my favorite summer activities for years, I was so excited to see my friends Nancy and Don who teach the class and loved taking my yoga practice outside to the beach again! 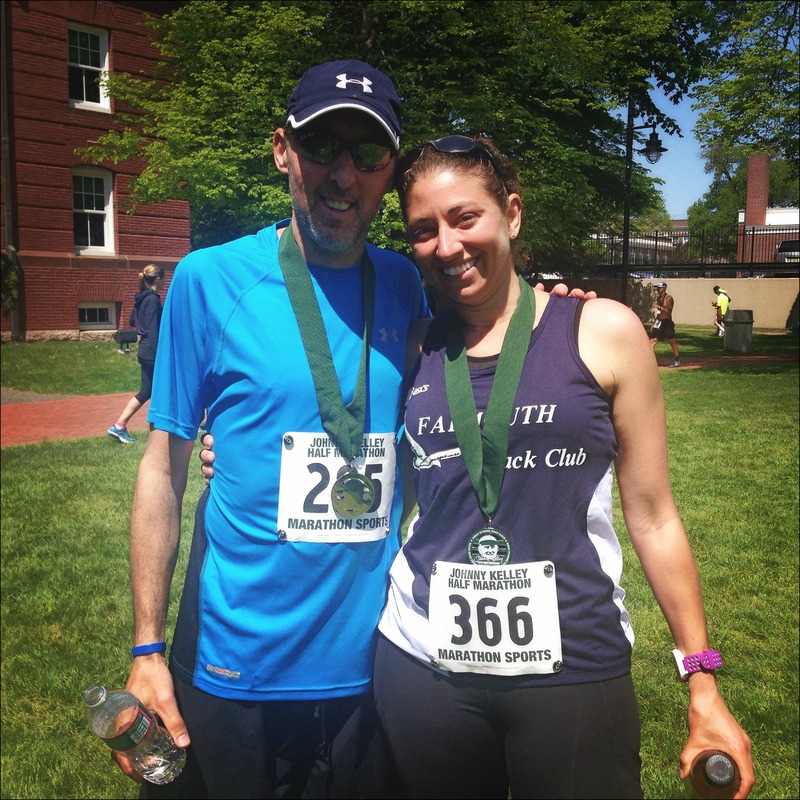 And on Sunday Jason and I ran the Johnny Kelley Half Marathon in Hyannis. It was amazing to see how the Cape comes alive as soon as Memorial Day Weekend hits! I can’t tell you how many times this weekend Jason and I said how fortunate we are to be living where we used to vacation, and this is just the start! 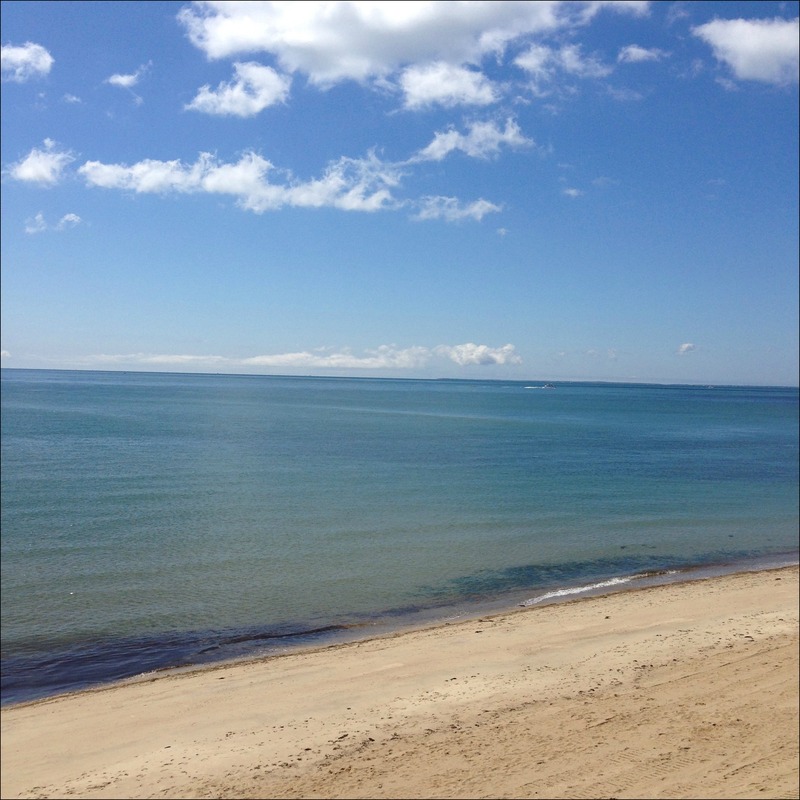 We can’t wait to take advantage of all the great things to do on Cape Cod over the summer (the paddles boards are coming out soon!). Would you want to live where you vacation? Nice job Jason! And girlfriend, that seafood looks amazing but trust me, it had NOTHING on all the grilled oysters we inhaled in NOLA this weekend! Ooooh, grilled oysters, interesting…I’d love to take a long weekend trip to NOLA sometime! Three days. By then your liver needs to recover! Congrats to Jason, that’s awesome! I love to vacation on Cape Cod, but unfortunately I don’t think we’ll make it this year–too much other fun stuff going on. I never really went to the Cape when I lived in Boston, but it was fabulous every summer weekend when so many people were at the Cape and I stayed home. All the streets and stores were so quiet, it was great getting errands done. Haha, I can imagine Boston empties out on the weekends cause it certainly does get busy here!